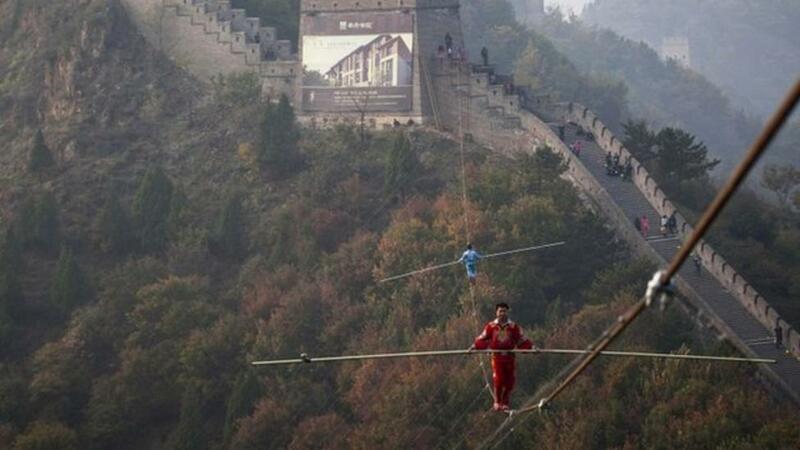 Amazing tightrope dancing in China! He's known as "Prince of the Tightrope" and his latest stunt was this daring feat above the Great Wall of China. Adili Wuxor and his apprentice not only walk on the tightrope above the Great Wall, but show off some fancy footwork too!